Blade length : 72.42 cm or 28.51 inches. Sori : 1.66 cm or 0.65 inches. Wide at the Kissaki : 2.90 cm or 1.14 inches. 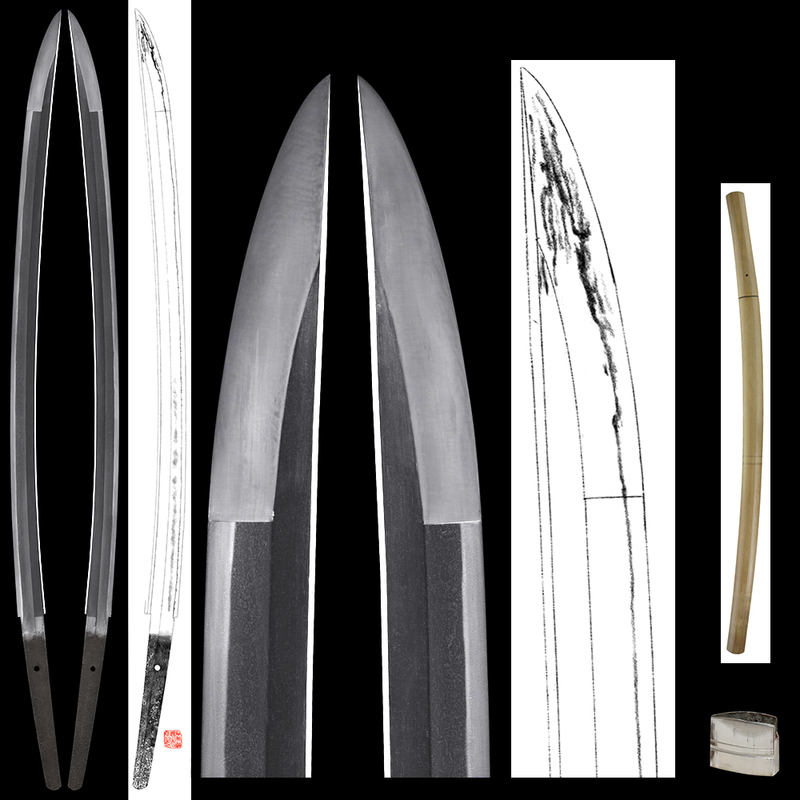 Shape : The blade is wide and thick with nice sori and long ookissaki style nice looking shape. Jitetsu : Itame had nagger with Jinie attach and utsuri appear. Hamon : Niedeki suguha. Boshi is midarekomi hakikake Kaen style. Special feature : From the shape of the Nakago, jigane and Hamon, the sword looks Mino school. 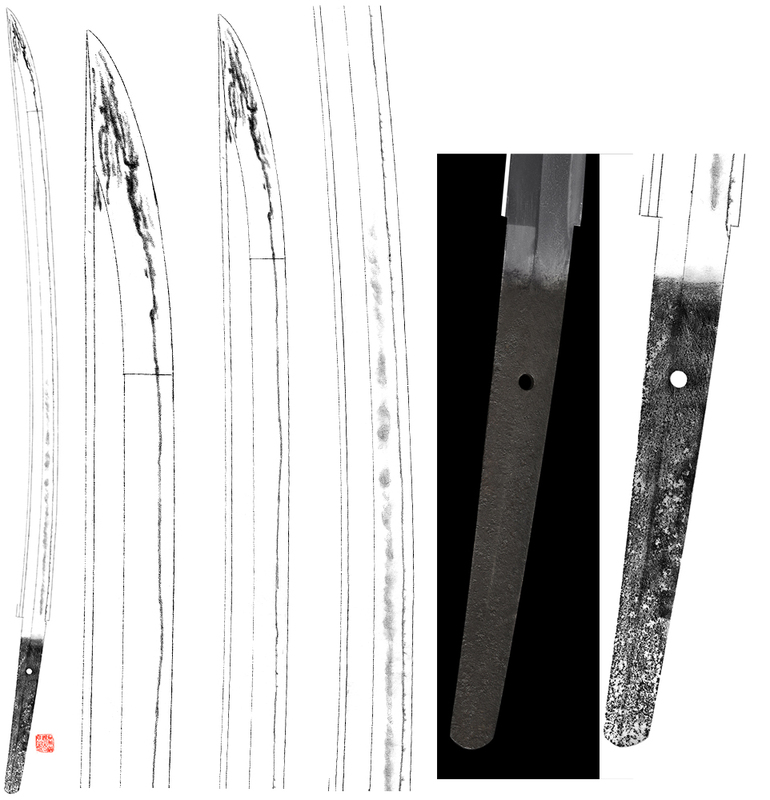 At a glance, it looks Nanbokucyo style but I think this sword was made around late Muromachi period. The sword is wide and thick with ookissaki nice gorgeous healthy blade. The condition is very good without Kizu and other faults. Tsuba : Brass Tachi style Tsuba. Fuchikashira : On the iron plate, flowers are engraved. Saya : Red brown ishimeji color. Menuki : A dragon is engraved by brass. Kojirri : On the iron plate, covered by syakudo plate. Historical background : War time.